How big a plonker is Danny Cipriani feeling at the moment? He’s the English rugby player who said not one Wallaby would make it into England’s World Cup side. Coming from a bloke who didn’t make it into the England side. 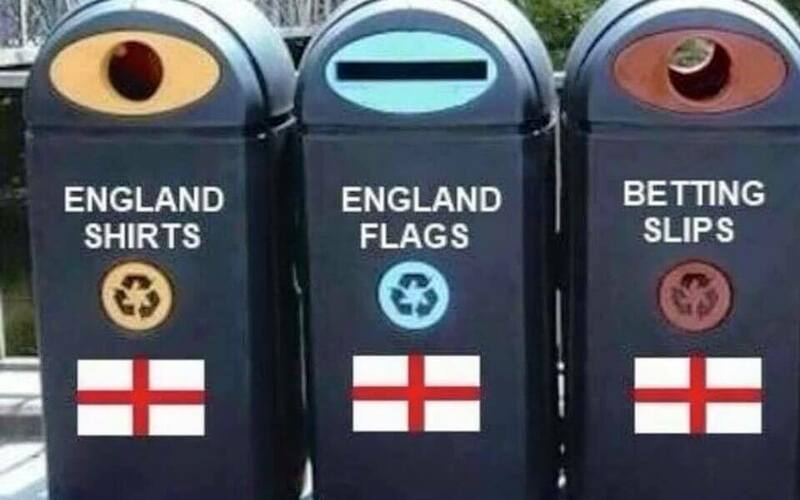 Turns out that clicking sound was the turnstiles marking England’s exit from the Rugby World Cup. Flogged 33-13 by the Aussies, England becomes the first World Cup host not to make it to the knockout round of the tournament. It was a victory so comprehensive that we were on the brink of a bonus point. A win in which Bernard Foley scored more than double the points of all the blokes in the white shirts combined. Three world cups in two years — in soccer, cricket and rugby — three pool stage exits for England. Uruguay discharged them in the football, Bangladesh in the cricket. In the rugby, the honour was ours. There is nothing more rewarding than making it out of the Pool of Death at England’s expense. Finally we can put our 2003 demons to bed. We can stop having nightmares about Jonny bloody Wilkinson, his furtive little hands-clasped-bottom-out-steppy-step kick preparations and his lethal boot. As for that recent cricket series, what Ashes? Not that it was a foregone conclusion. Twickenham for us is the European equivalent of Eden Park. And let’s just say the Wallabies are no sure thing these days. But this game, well I haven’t seen the Aussies play that kind of rugby since John Eales pulled on the Wallabies jersey. Watching the first ten minutes, I asked the telly: “Who are these masked men in green and gold playing actual rugby?” The telly didn’t answer. I asked Siri. Her response was: “Checking on that.” Which seemed apt. I mean, where were the fumbles, the hail Mary passes into thin air, the scrum collapses? The Aussie scrum. What a sight to behold. It hasn’t worked for years. One look and it crumbled like a Mersey Valley cheese. It wasn’t rated a chance against England’s Rock of Gibraltar. And yet, we got five penalties through our scrum. Five! Sure, there was that period of play in the second half when it’s hard to say what we were playing, when it looked like Quade Cooper may have sneaked on to the field uninvited, when England closed the gap to seven points and full-time couldn’t come quickly enough. But England quickly shut down that chance, getting one of their own sent off, and the spiral into oblivion continued unhindered. English supporters slinked from the ground well before the final siren. Swing low, they’d been singing, and England did. Other fans hung around in disbelief, like this little fella. Get used to it, lad. 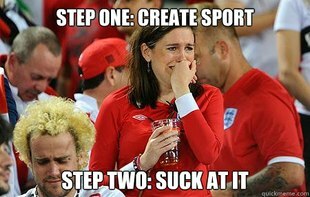 This is generally the life of an English sports fan. The rest of us were left to enjoy the headlines, always the highlight of an English sports fail. “The end of the world,” said the Daily Star in a piece of classic British understatement. “Only the worst hosts leave their own party this early,” said the Daily Mail. The Guardian said this World Cup side ‘was like certain German cars, containing parts that should not have been there’. “I sense we’ve hit a ceiling,” said former England captain Will Carling. I think you mean floor, Will. Ceiling implies height, aspiration and capability. ‘Shambolic’ and ‘ungodly mess’ also got a workout. As did ‘pathetic’, ‘clueless’ and ‘brutally predictable’. This is where the English press really excel, when it comes to kicking their own. If only there was a world cup for that. 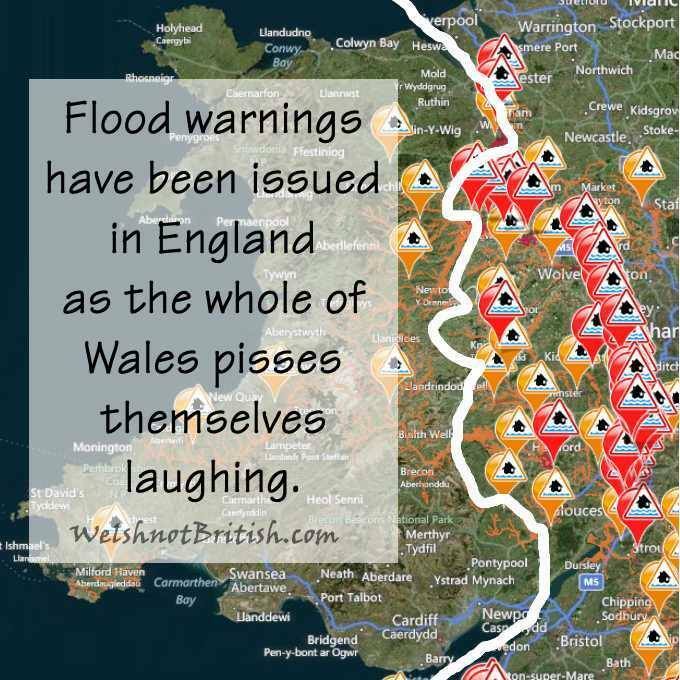 Of course, now there are probably plenty of vacancies in the English team. Who knows, Danny Cipriani might even score a place. As for an Aussie making it into your team of wilted roses, Danny boy, thanks but we’re not interested. It’s not that we’re not good enough. It’s just our professional pride. Next Post Would the last person to leave FIFA please turn out the light? Thanks! I must say I enjoy writing these kinds of stories.